Love this podcast! It's so inspiring! Do u want to know why I love this podcast because it's PRETTY BASIC! Love u Rem and Alisha! This is the first podcast that I've ever really gotten into. I anticipate every new episode because I really enjoy listening to the grounded, authentic conversations between two well-adjusted, genuine female young adults. I love!!! I would die if I could meet u guys! !u inspired me to do you tube videos!! Alisha and Remi kick-off the show by playing "The Secret Game"... and Remi admits to something she was going to take to her grave. Alisha says she might be talking to a guy. Plus, they talked about their favorites last week, and now they'll get into their "worsts." Worst celebrity encounters, worst times they've been hit on, and so much more! Alisha and Remi get into their favorites! What YouTubers are they into right now? What about their favorite music? And their makeup and beauty recs? They're about to tell you! It's time for a Q&amp;A sesh! What happens when the girls get into arguments? If they hadn't met, where would they be now? And if they were a drink, what drink would they be? Stay tuned... you're about to find out! Are Alisha and Remi comfortable running into fans in public? Just how hard is it to unplug when you're a social media influencer? We also discover just how close the girls are when they tell a story about a possible intruder in Alisha's house. What happened during Alisha and Remi's first live show at SXSW? The girls also clear up some common misconceptions about L.A., and Remi talks about one of the most devastating events of her life. Get ready for all the feels. Alisha flusters Remi by playing by "eff, marry, kill" with some of Remi's favorite celebrities. They also discuss their recent trip to New York, flirting with guys at the bar, and Alisha exposes Remi's crush. You asked, Alisha and Remi answered! We're taking all your questions, including: what are the girls' favorite qualities about each other, what would they be doing if they weren't on YouTube, and do they regret not finishing college? Alisha and Remi get into their favorite and least favorite qualities about themselves, what craziness went down at Remchella, and the return of Bumble Boy! Also, Alisha and Remi make a pact... will they marry each other someday? The girls play more games! What were their stupidest purchases ever? And what were their dumbest injuries? Also, they go deep into "Remchella"… a nonstop celebration of Remi’s birthday. And they give you a secret tip on rejecting a guy that you’re not into. The girls play games where they reveal juicy secrets about each other, guess each other's type of guy, and have their first fight? Alisha takes the mic and opens up about what happened in her four-year relationship. She and Remi also take a deep-dive into the meaning of their friendships, losing your virginity, and heartbreak. Hello, Pretty Basics! Alisha and Remi are feeling better than ever, and it's all thanks to the Kardashian's nutritionist! The girls go into their wellness journey, and putting yourself first in 2019. Alisha and Remi have high hopes for the new year! Today they talk about their New Year's trip to Hawaii, their Top Five artists to see at Coachella this year, and being late bloomers. The girls answer listener questions about how influencer-branded trips work, including a story about how Remi almost DIED in Bora Bora. Get ready because the tea is piping hot and ready to be spilled. Happy New Year! What are Alisha and Remi's New Year's resolutions for 2019? They both wrote them down and are ready to surprise each other... and you. 2018 was a trying time for everyone, especially Alisha and Remi. The girls recap all their extreme highs and lows - so get your tissues ready! Welcome back, Pretty Basic listeners! Today, Alisha and Remi give us an inside look into a recent social experiment Remi did... and they may even go on a double date? In today’s episode Alisha and Remi give us a crazy insight to the people they work with on their teams that help them be full time social media influencers. From management to agents, this episode is super insightful to anyone interested in the business. In this episode, Alisha interviews Remi all about her weight loss journey. Remi shares her current and past struggles with the situation, and opens up about not always having the answers to all the questions being asked. Remi and Alisha recap their trip to New Zealand and open up about their individual insecurities. Remi talks about her first heartbreak and Alisha shares her fear of missing out on something real. This episode is sponsored by ReBe New York, you can check them out at rebenewyork.com/prettybasic. In today’s episode Alisha spills all the tea about Youtube collabs shes done. Prepare to be shook cause everything is not always as perfect as it seems. Oh, and Remi tells us an embarrassing update about turtle dude. Remi tells us about her date the other night, and Alisha tells us about how she was going to crash it. The two also talk about how viewers sometimes have no idea what goes on behind the tweets and Instagram stories. In today's episode, Alisha and Remi talk about the many struggles of being a YouTuber. One struggle in particular is the challenge of meeting new people, which leads Remi to tell us about one of the worst experiences she's had. Episode one of Pretty Basic serves as an introduction to Alisha and Remi, their friendship and of course what listeners can expect from their new podcast. During this episode the ladies dive into how they met and their first impressions of each other, share some hidden traits on each other and provide background on the inception of Pretty Basic. 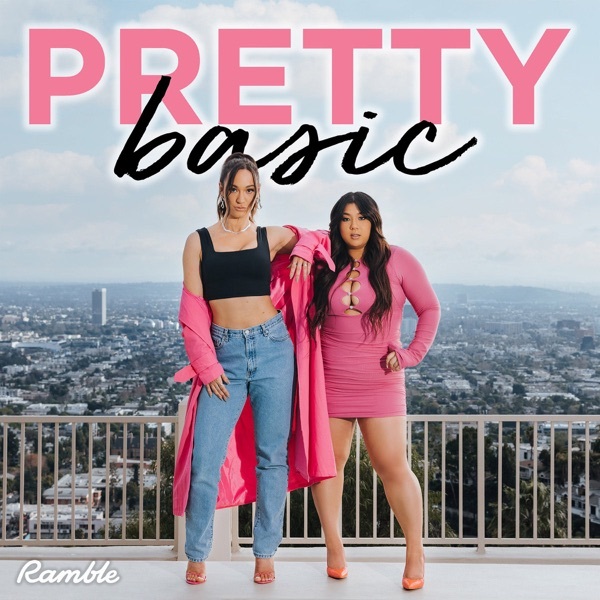 Join Alisha Marie and Remi Cruz on Wednesday, October 24th for the premiere episode of their brand new podcast, Pretty Basic!